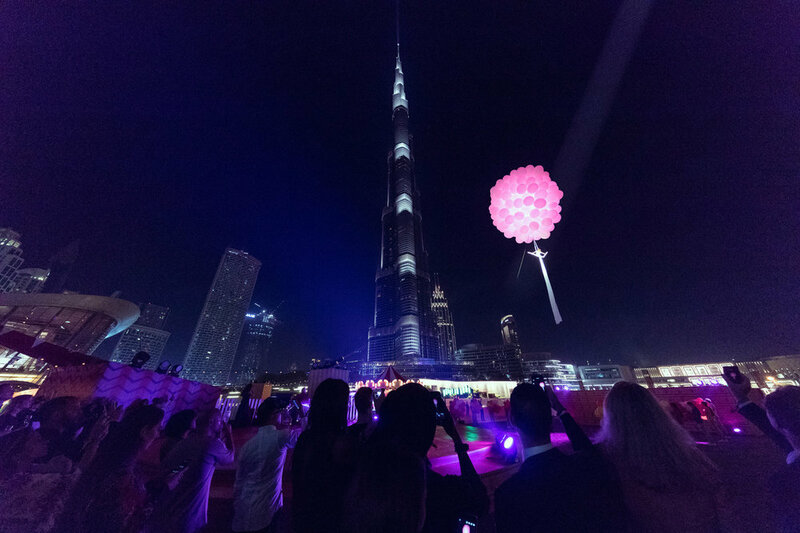 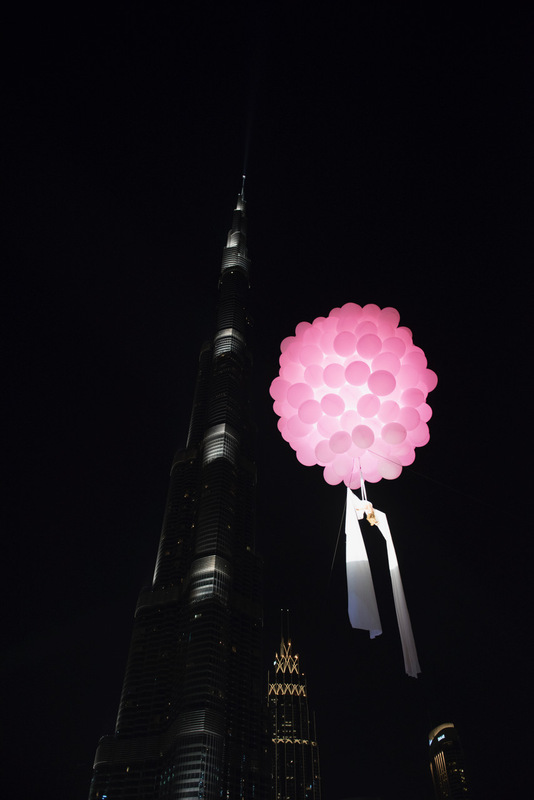 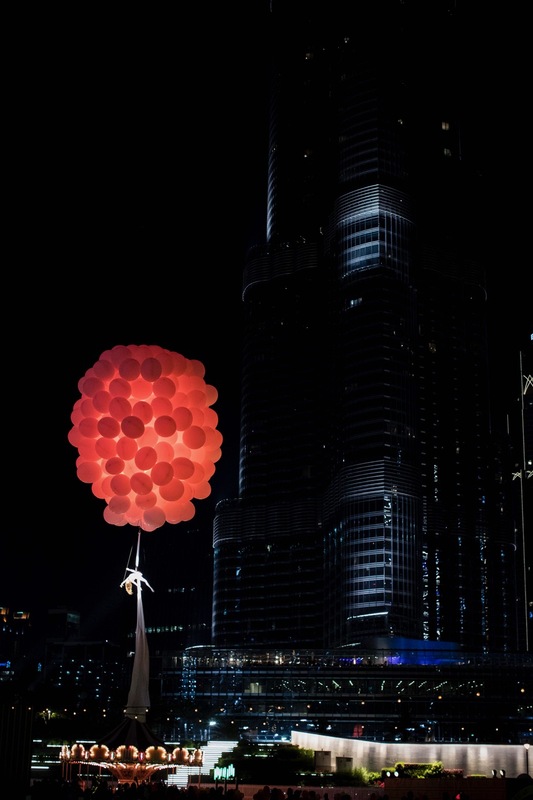 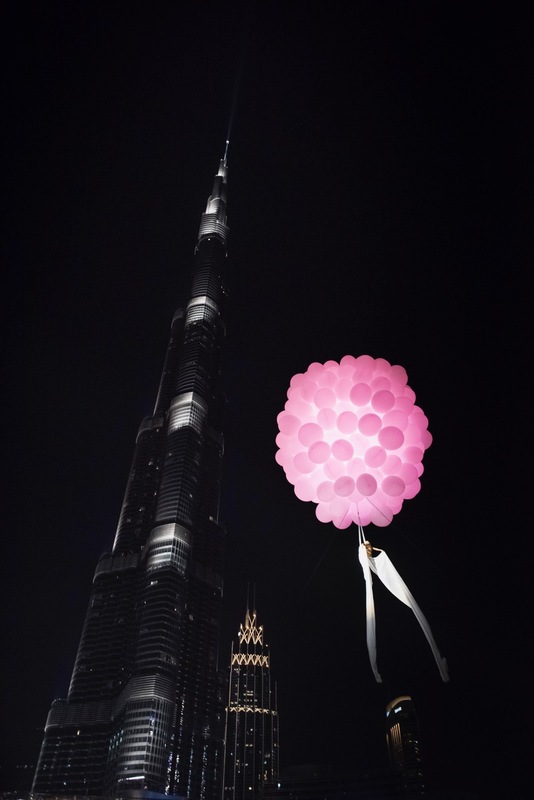 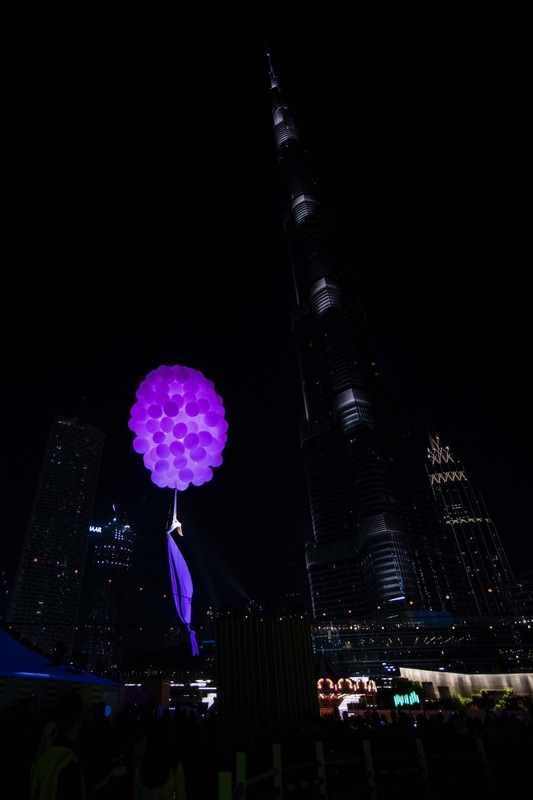 With views of the iconic Burj Khalifa and Dubai Fountains in the background, Erika Lemay's aerial poetry steals the show. 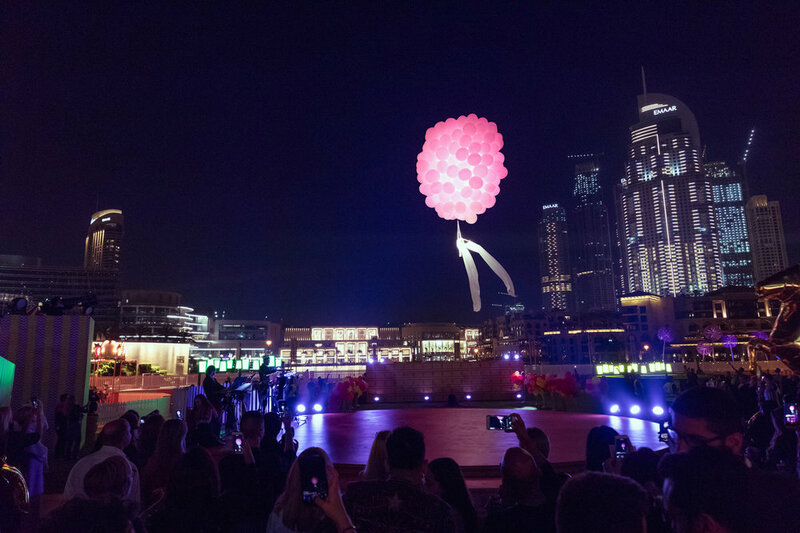 The Hermès Fantasy fairground was created to celebrate the opening of the new Hermès store in Dubai Mall’s Fashion Avenue extension. 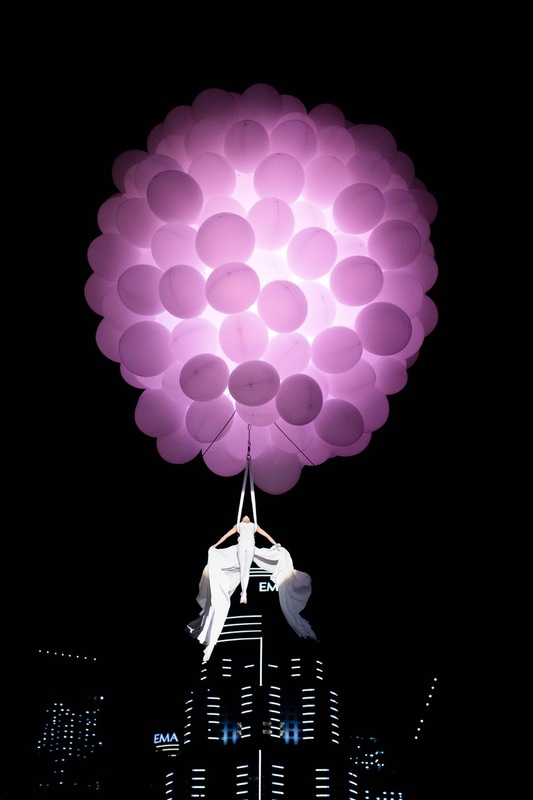 The show was under the direction of Oneness Entertainment. 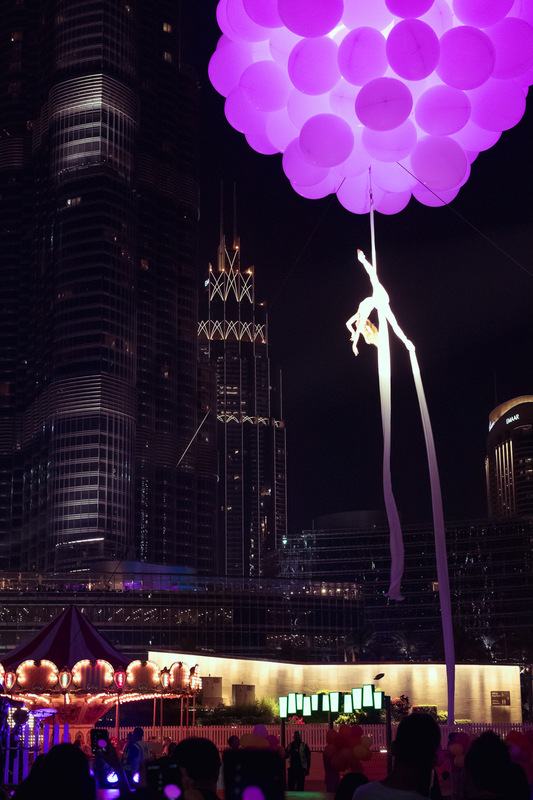 To celebrate the opening of Hermès new boutique in The Dubai Mall, the French fashion house have transformed downtown Dubai into a fantasy fairground.